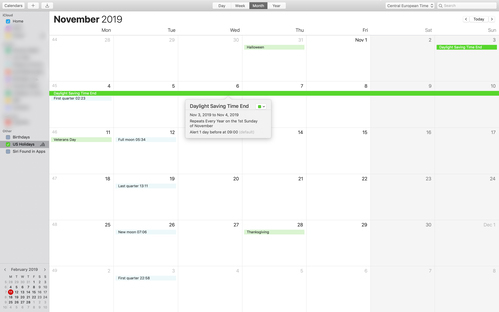 After I’d left Calendar and went back in (to retake the photo without the sidebar that I ended up blurring), the bug wasn’t reproducible. Alas. Or thank goodness, I don’t know which. It appeared to effect every “all day” appointment on a Sunday when it was happening.